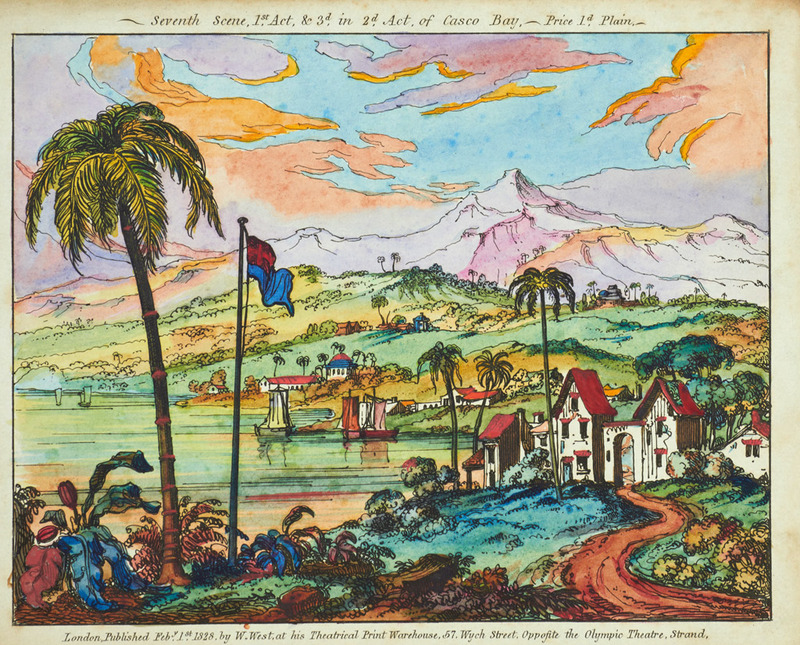 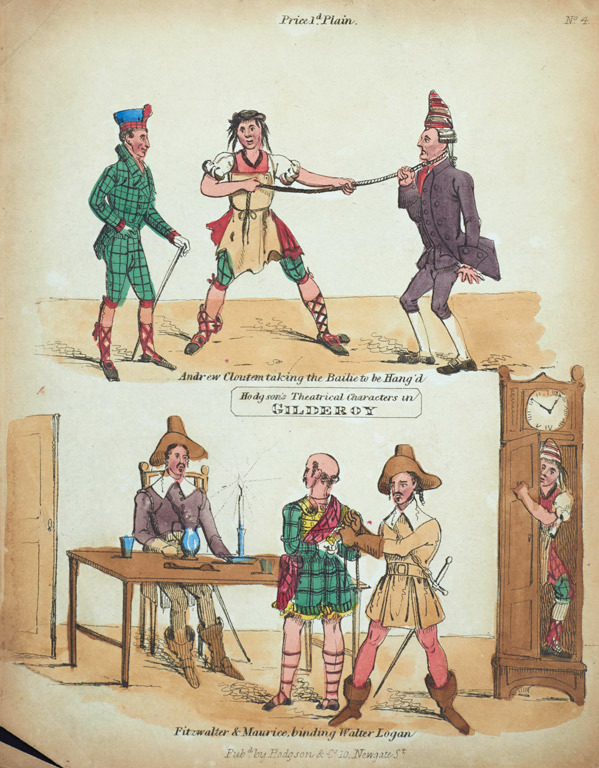 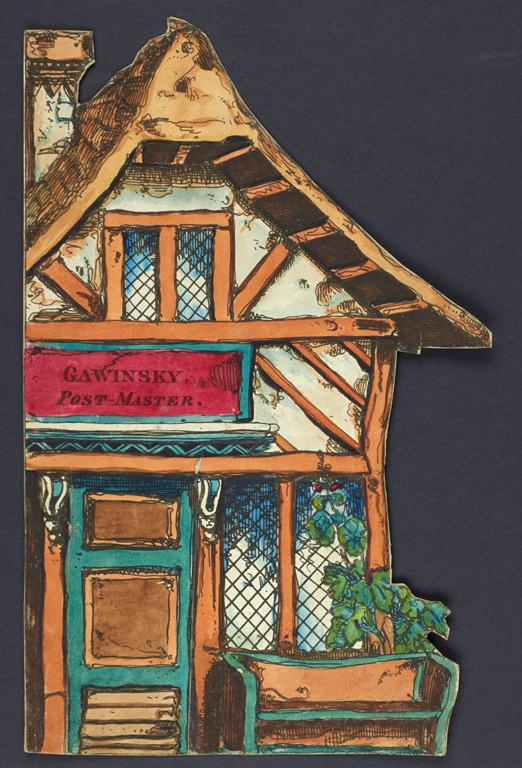 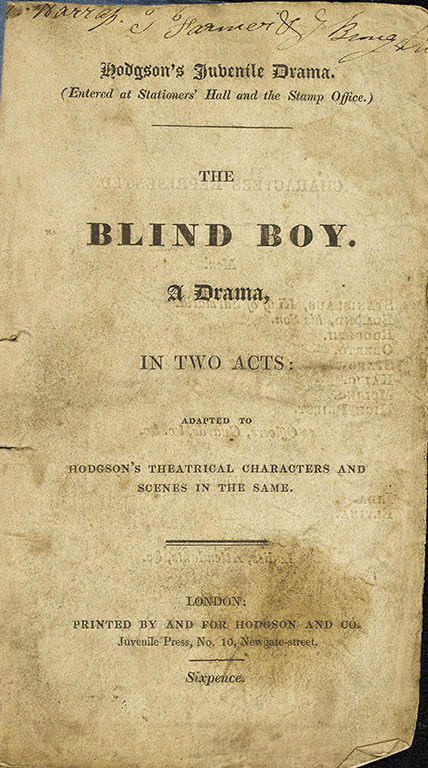 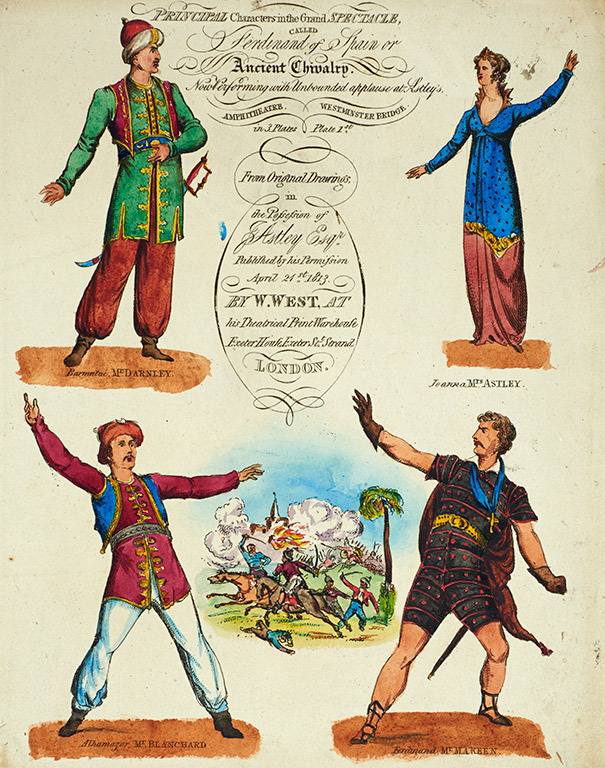 The origins of the toy theatre is credited to the publisher William West, who in 1811 was running a haberdashery which sold toys including ‘children’s halfpenny lottery prints', illustrated alphabet prints featuring boxed single characters with a rhyming caption that children could use for a game of lotto. 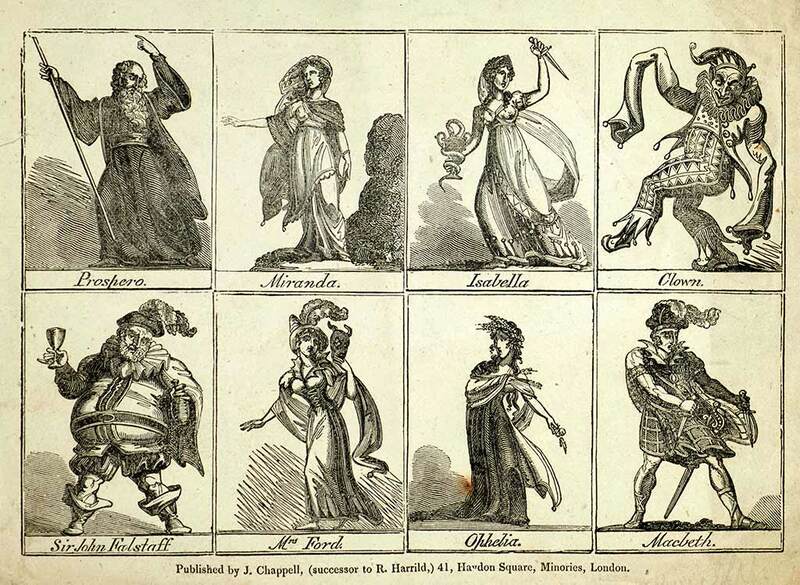 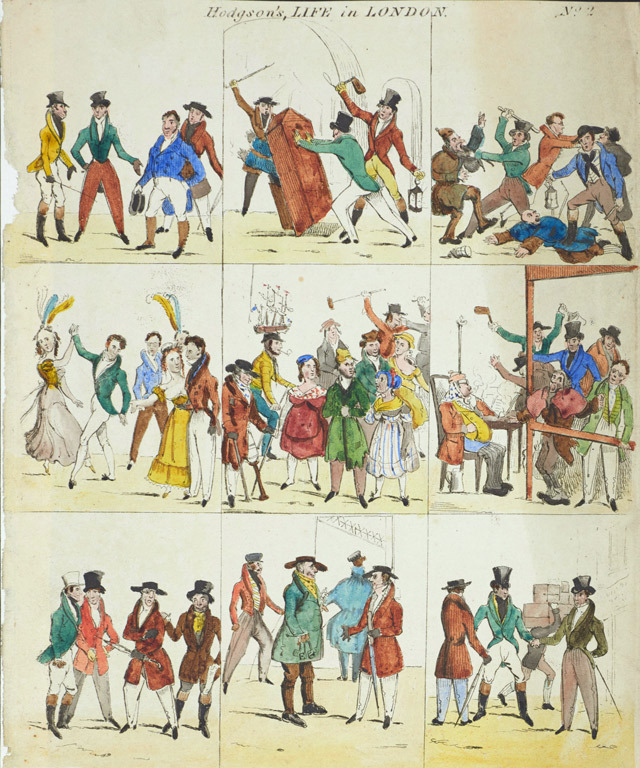 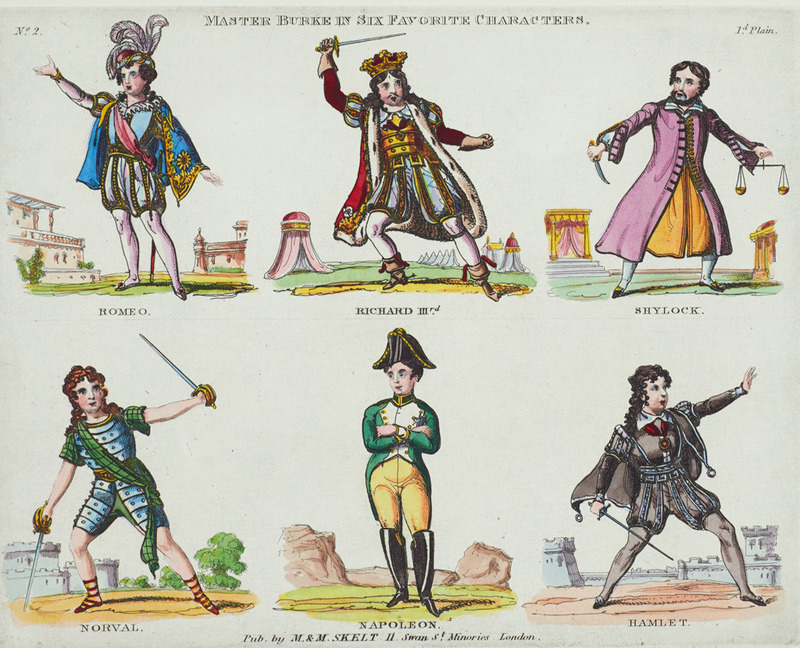 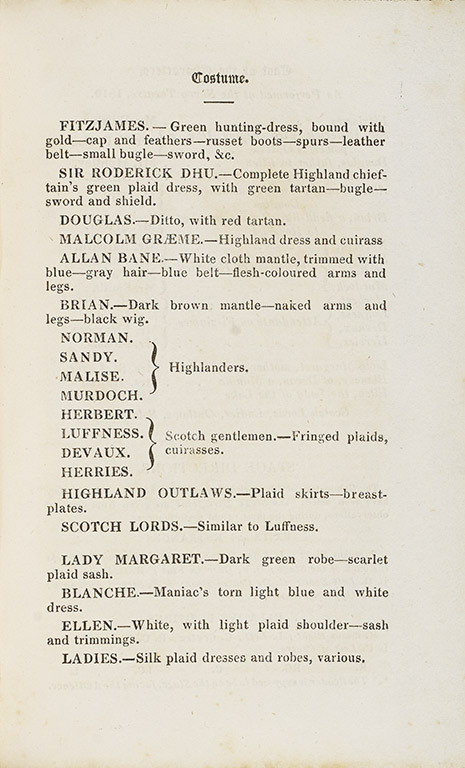 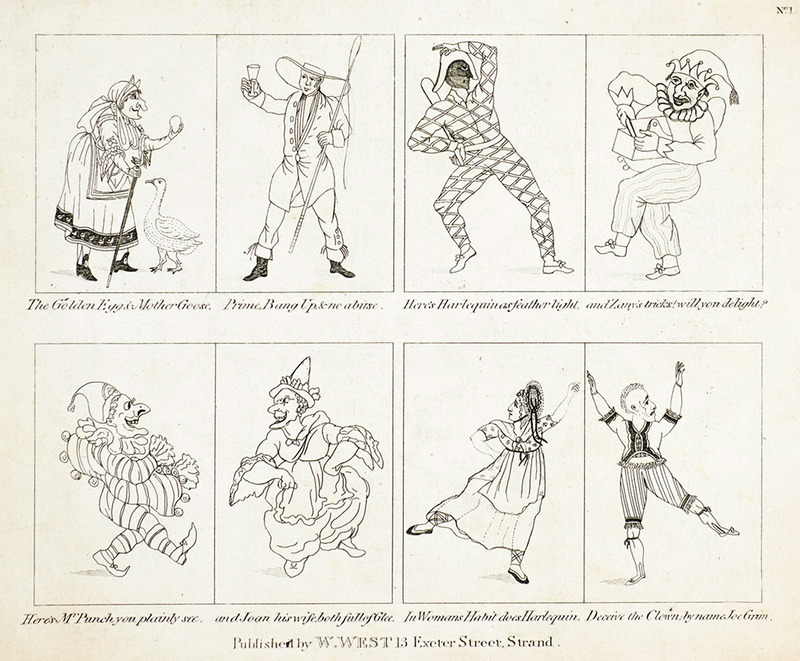 West produced a sheet of characters in the lottery style from the pantomime Mother Goose which opened at the Covent Garden theatre in 1806. 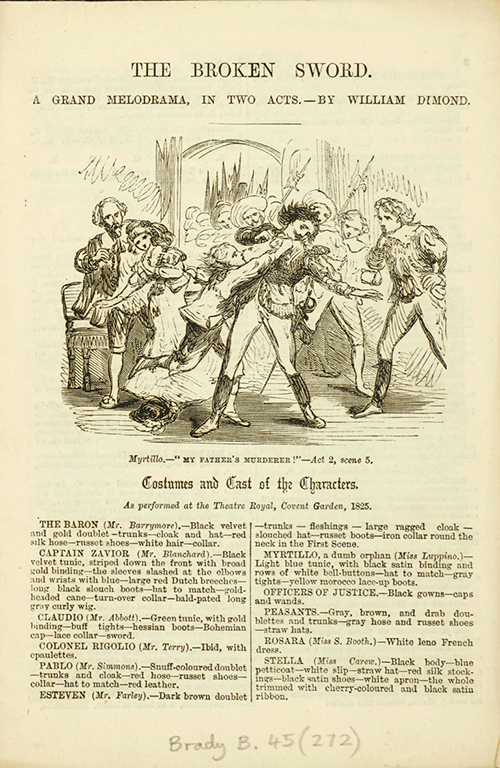 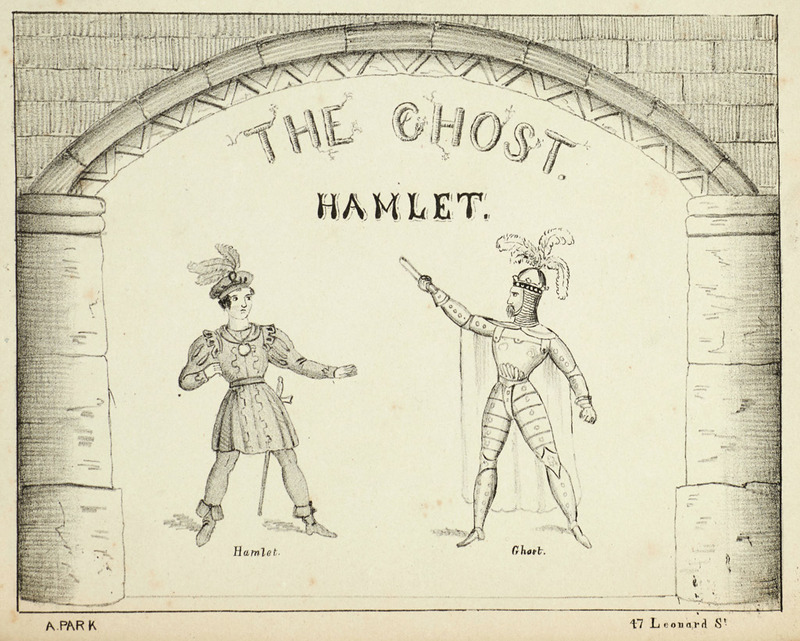 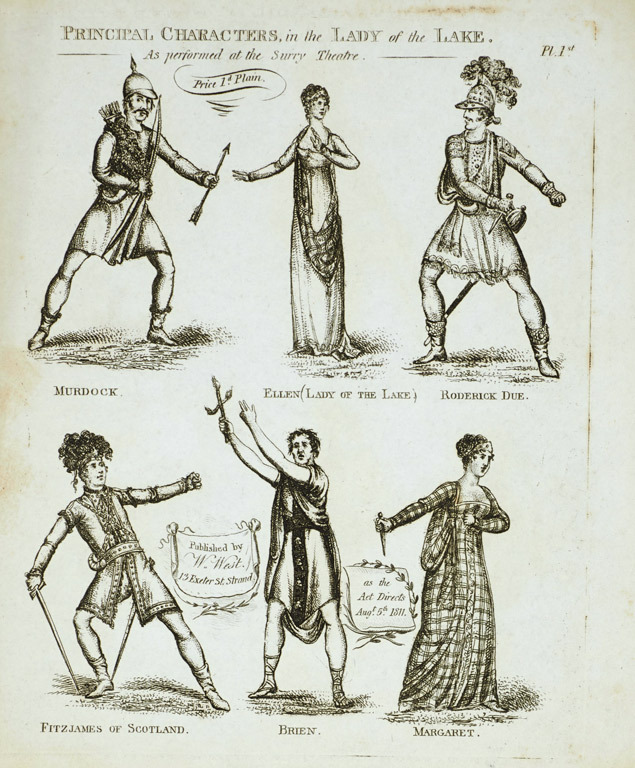 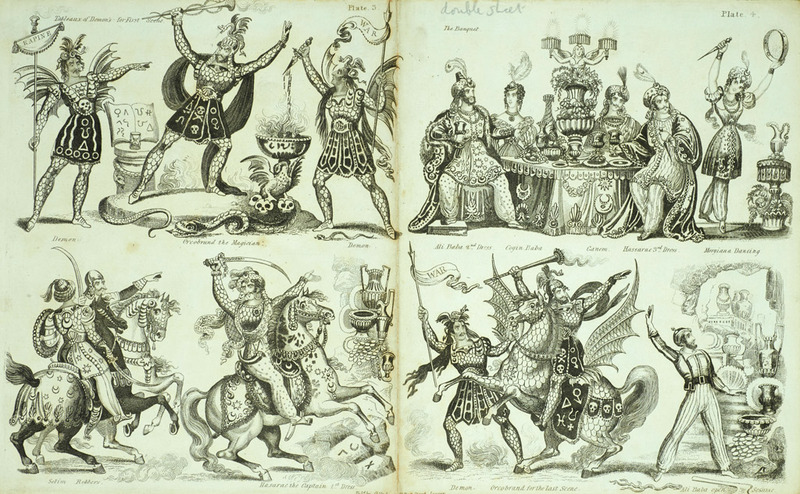 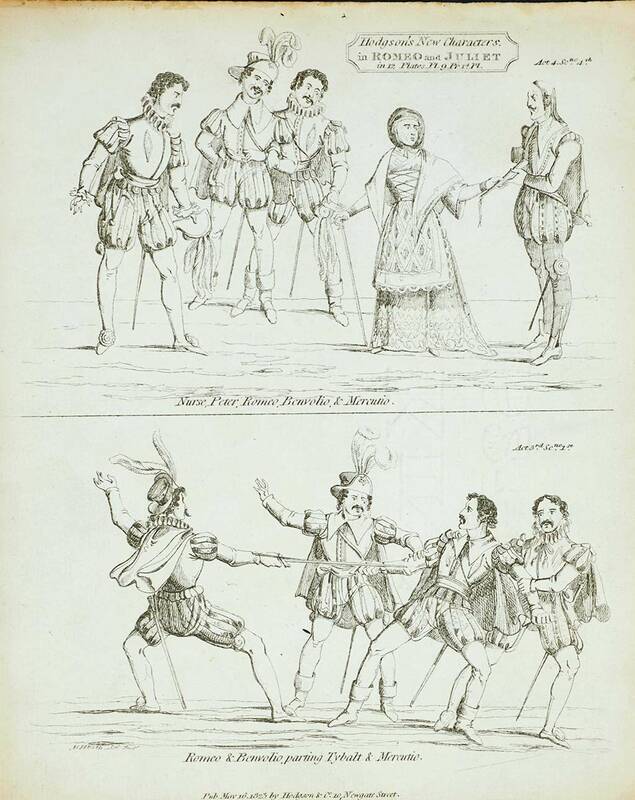 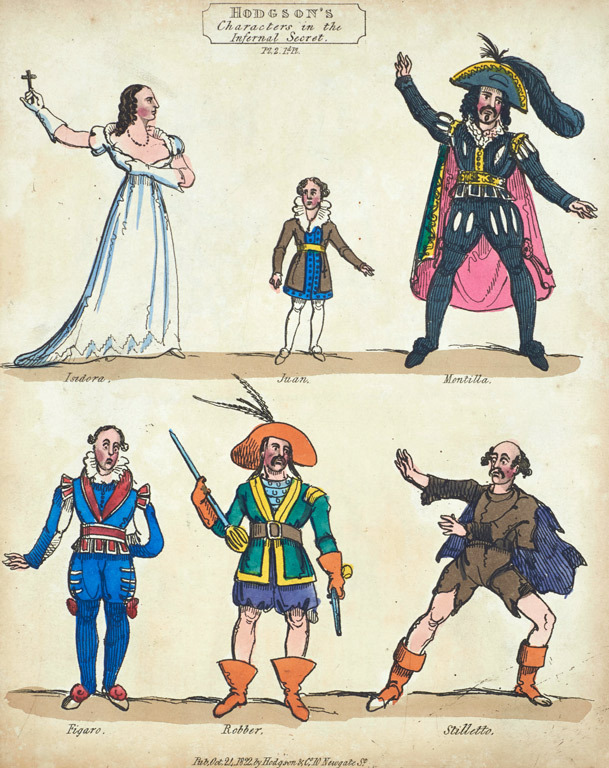 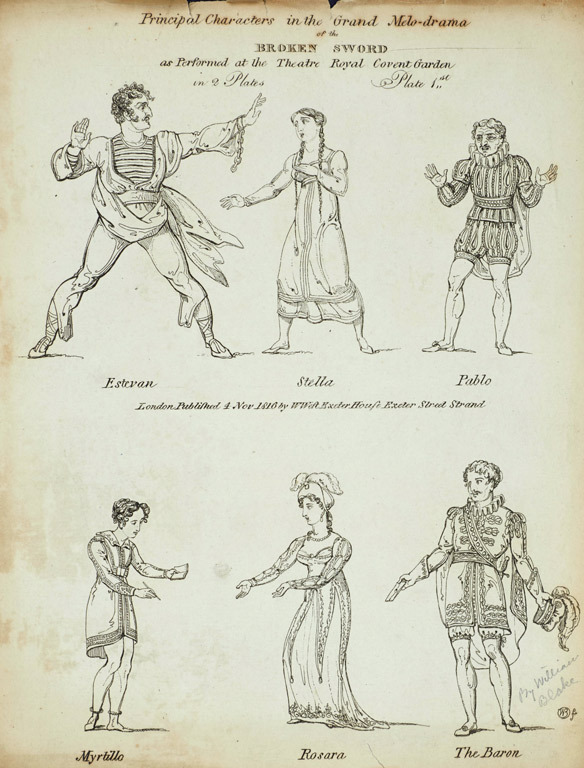 As the play which had established the fame of the clown Joseph Grimaldi, West found ‘it went like wildfire among the young folks’ and he acquired three presses to keep up with demand forming the beginning of the theatrical print trade. 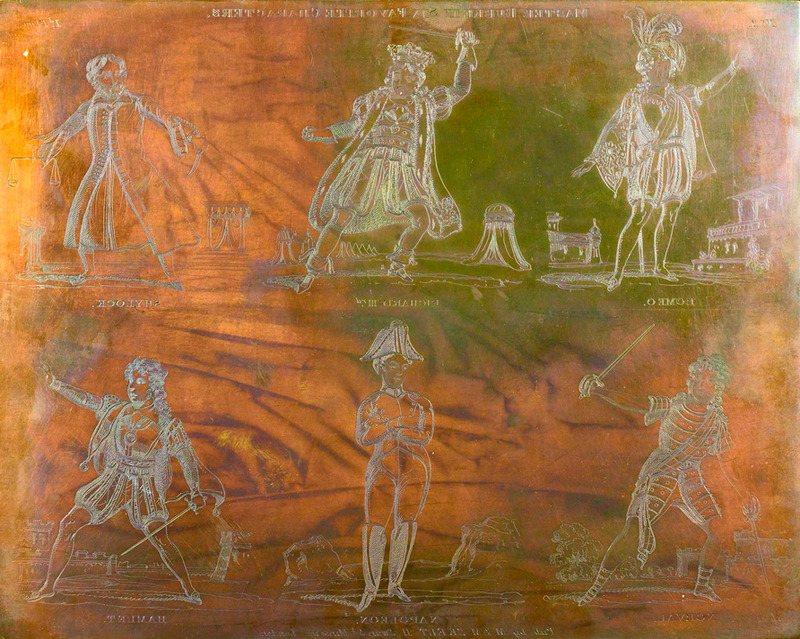 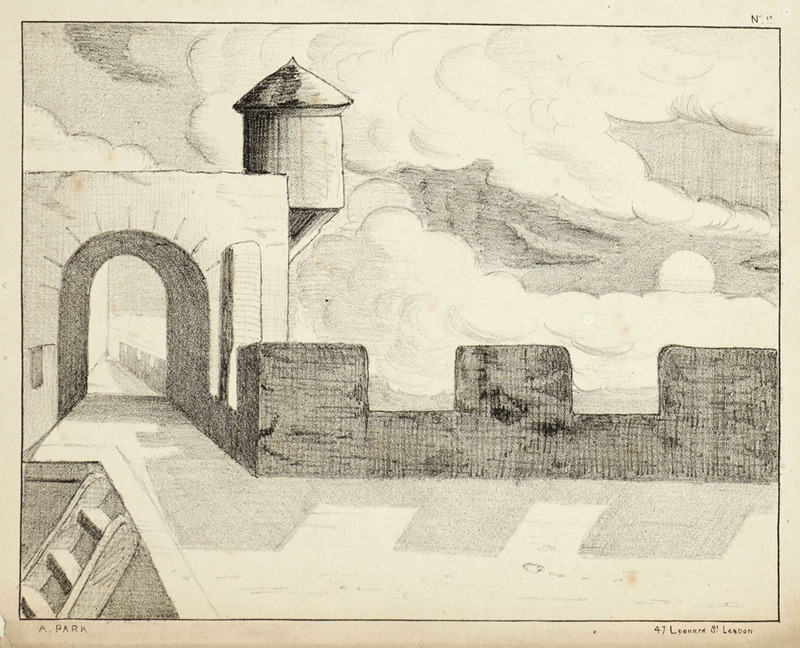 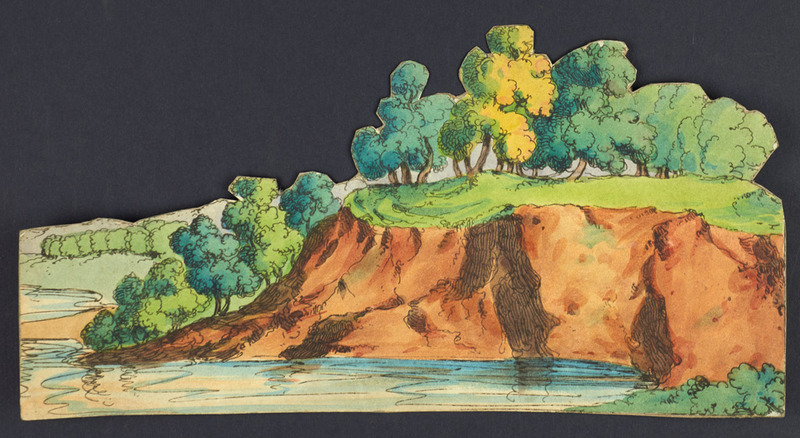 For information about these images please download the exhibition catalogue.